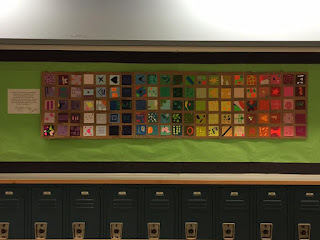 Miss Sulik's Art Space: Color theory rocks! 7th grade discovered how details become a whole, just like in Language Arts.. and LIFE! Color theory rocks! 7th grade discovered how details become a whole, just like in Language Arts.. and LIFE!